Dr. Burroughs works with some of the United States’ top healthcare attorneys and law firms to provide expert administrative consultation as a healthcare expert witness in the following areas. He has served as a healthcare expert witness in over 45 legal cases for both the plaintiff and defense. Dr. Burroughs has provided testimony and/or deposition over 12 times in the past four years. He provides rock solid support to attorneys navigating complex cases and legal issues. Please read the testimonials below from attorneys throughout the country about their experience with Dr. Burroughs as a healthcare expert witness. Then contact us today to learn more. 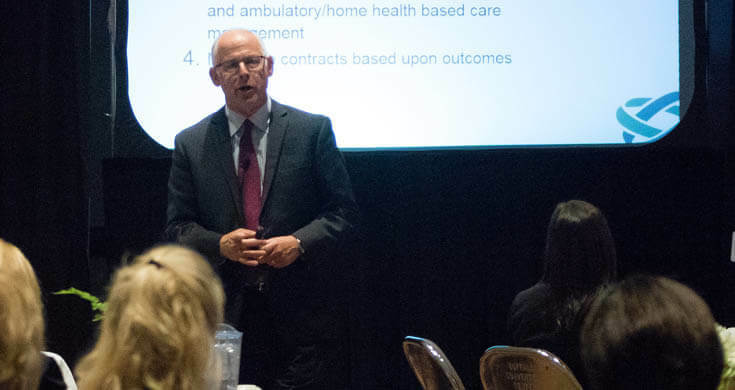 In addition to providing a thorough review and extraordinarily detailed report, Dr. Burroughs takes the time to break down difficult concepts in all aspects of hospital administration. Dr. Burroughs gives attorneys the tools necessary to present very strong system failure cases. He exceeds all expectations to include giving a rock solid deposition. I highly recommend Dr. Burroughs. I retained Dr. Jon Burroughs recently on a difficult and complex case. Jon thoroughly addressed the issues, provided fantastic insight and literature, and gave a spotless deposition! Highly recommended! Dr. Burroughs did an excellent job for the medical staff in a difficult and complex fair hearing and contributed significantly to a positive outcome fro the medical staff and healthcare system. We appreciate Dr. Burroughs’ hard work and flexibility. He did a terrific job for the defense.